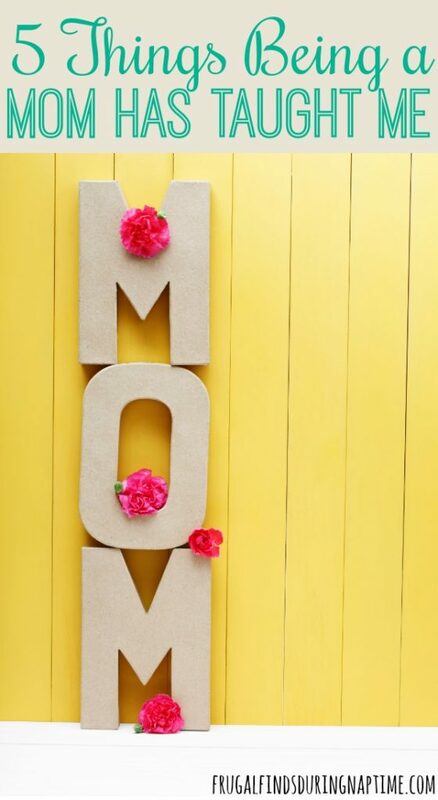 With Mother’s Day coming up, I have been searching for deals for Mother’s Day Gifts, and making plans for my mom and grandmother for Mother’s Day. Most of all though, I have been thinking about being a mom, what it means, and what it has taught me. Just six years ago, we found out that God was blessing us with a child. I remember that day like it was yesterday. My spunky Sabrye and sweet Landrye have taught me a lot about motherhood over the past six years. 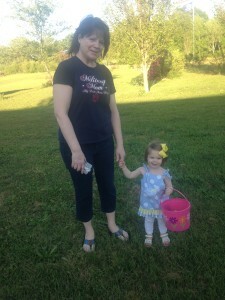 Here are five things being a mom has taught me. 1. I have to eat my own words. . . a lot. 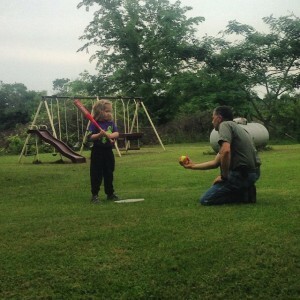 My dad, “Poppy” teaching Sabrye how to bat. I tell my girls, “If you don’t stop fighting, I’m going to take the TV/toy/whatever away!” Then, five minutes later after hearing them scream because I took it away, I give it back just for some sanity. Or, “If you don’t clean you’re room, I’m throwing EVERYTHING away!” Five minutes after seeing her stuff go in a trash bag, and I can’t handle the uncontrollable sobs accompanied by my youngest laughing at her, I end up giving my oldest a chance to re-clean her room. I’ve learned that I will have to eat my words from time-to-time, and I’m OK with it. Especially if it means my kids are happier, I’m more sane, and our house runs smoother. 2. My parents deserve a medal, trophies, or something for living to tell about parenting experiences. Seriously, my parents rocked at parenting! 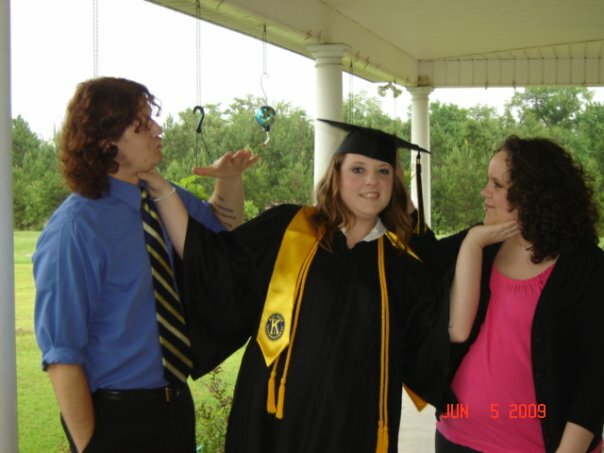 We, I mean, my brother and sister, weren’t always the easiest to deal with. 😉 My dad says my sister and I gave him gray hairs. I still insist those gray hairs are from my brother, but who’s keeping up anyways? My mom tells me that when she was in the throes of parenting us when we were young (ages 4, 3, and infant) and my dad worked night shift a lot that she counted down the minutes until bedtime, sat in the corner and cried, and just prayed a lot. Knowing that my mom struggled with parenting at times, doesn’t make me feel so bad on those days where I just want to sit in the corner, and cry. 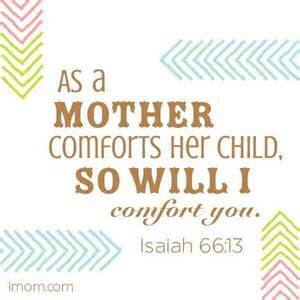 I know that I’m not the only mother who has ever sat in the corner and cried, and that’s comforting to me. My mom and Landrye at Easter. Seeing that my parents made it through raising the three of us in one piece gives me hope that I will make it. Parenting little ones is just a phase in life. I know I will look back on these years and miss them. 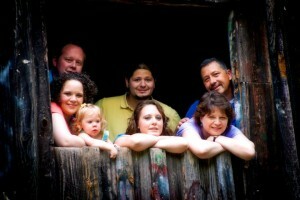 Family Picture in July 2011. 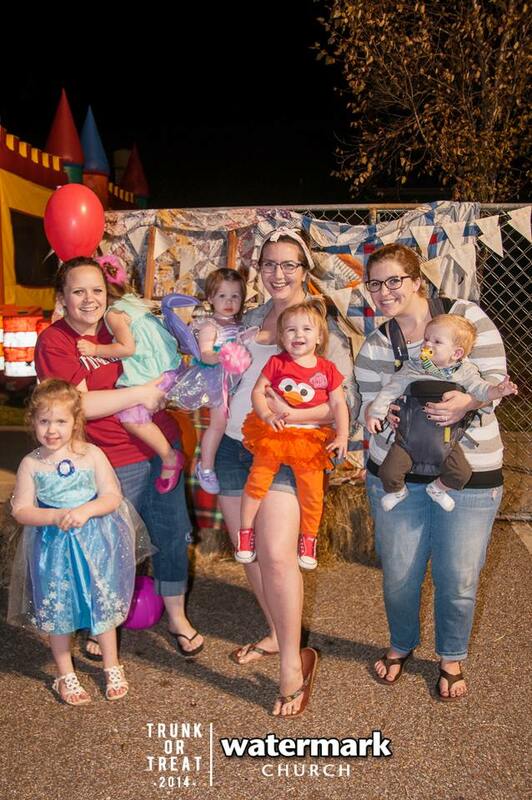 Have you ever heard that phrase, “It takes a village to raise a child?” Before I had kids, I thought that was the craziest thing. Now that I have kids, I LOVE my “village”. You see, as a stay-at-home mom, I need time away from my kids. Sometimes that is in the form of a play date so my kids can play and I can talk (and see) another adult. My sweet friends Chelsea and Caitlyn. Poor Chels is even holding my kid and her yongest! 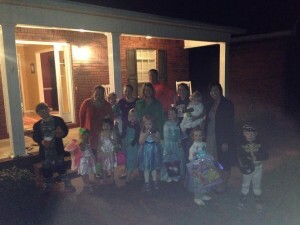 When we take our kids trick-or-treating with other friends (from our small group), it’s like an unspoken rule that we all look out for each other’s kids. By the end of the night, I am pushing the stroller of another friend’s baby, while another friend has my oldest and hers walking up to houses. It works, and we trust each other. 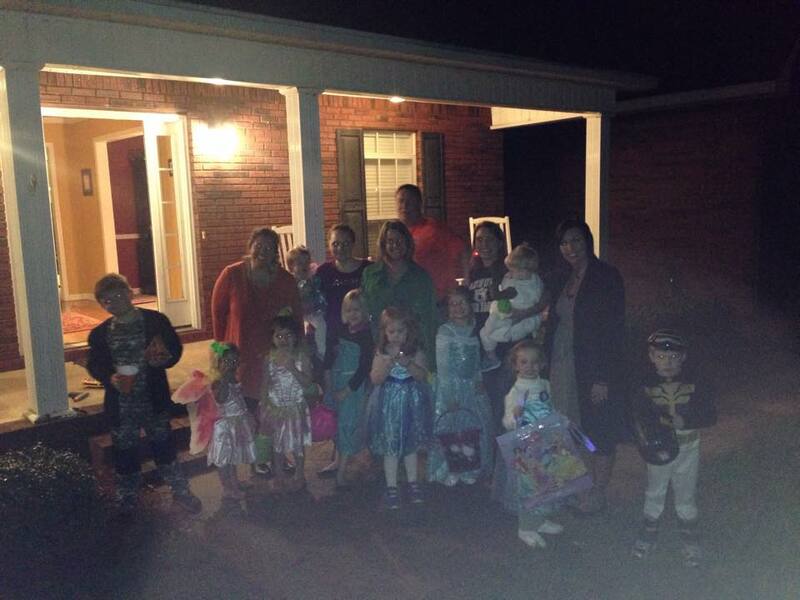 All of us headed out to trick-or-treat Halloween 2014. While it does take a village, it’s important that you are picky about who you “let in your village”. The “people in my village” are trustworthy, have the same values and beliefs, and even have close to the same parenting style. God blessed my husband and I with great friends. 4. Motherhood requires a lot of grace (and coffee)! I wasn’t a coffee drinker until I had kids. After a few “up all nights”, I discovered this warm, magical liquid that soothed my burning, tired eyes, and gave me that little extra “push” to make it through until nap time. Even now that my girls are five and (almost) two years old, there are still nights they are up a lot. After those long nights, coffee is my bestie. I believe that all relationships require grace from both parties. Motherhood is no different. There are times I mess up and have to ask my kids for forgiveness. There are times my kids are doing something crazy and I have to remind myself that they are just kids. I can’t expect them to behave any different. I have always been a very “black” and “white” person. There was no “gray” to me. God showed me a few years ago that I had to allot for some “gray” in my life, because that “gray” was “grace”. I had to show grace and give grace. I had to let go of the “black” and “white”, “only one way” mentality. 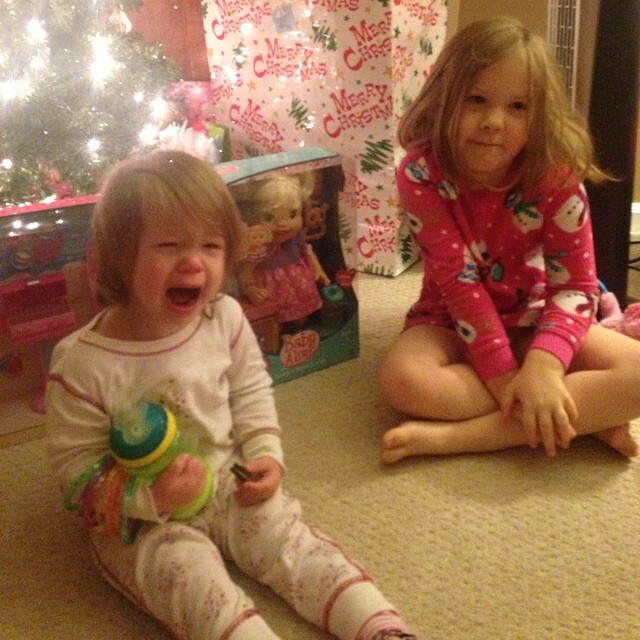 A melt down on Christmas morning. I have to give my girls grace. Grace to mess up, learn, and grow. If I don’t give them grace, they won’t learn how to show grace to someone else. Even though I still struggle daily on giving my children grace, I am growing and learning each day. 5. I’m not a perfect parent, but I have a perfect Heavenly Father I can turn to. I’m not a perfect mom. I’m not ever going to be a perfect mom. At one point in their life, my girls will be mad at me, upset at a decision I made, or even not like me. There will be times that other parents will look at me and think I’m crazy. I get that. I’m OK with that. I know that the only perfect Father is God. 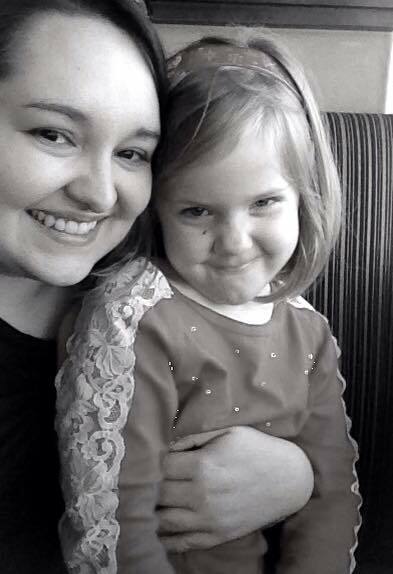 I know that although I strive to make wise decisions in parenting, and give my girls grace, that I will mess up. 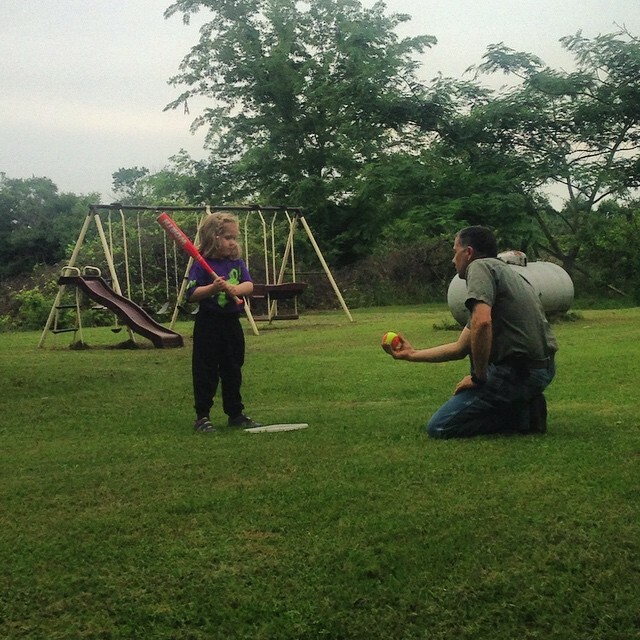 I know that I can’t do this “parenting-thing” without God. 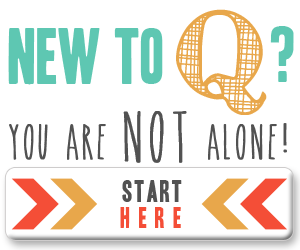 I have to rely on Him daily to help me show my girls grace, to give me guidance, to give me strength when I want to sit in the corner and cry, and to help me navigate the waters of parenthood. 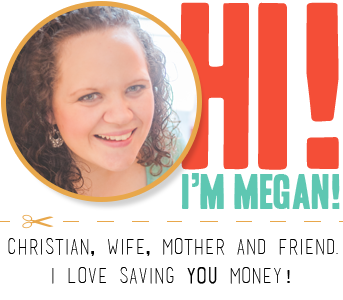 If you enjoyed this post, sign up (below) to receive my FREE 7-day devotional for busy moms!